CIPR president-elect Stephen Waddington hits out after reports of Wikipedia abuse by US PR company. The company, Wiki-PR, openly promises on its website to "directly edit your page using our network of established Wikipedia editors and admins", in direct contravention of Wikipedia’s rules that its editors should not be paid to write entries. "There is zero gain to be had for any public relations firms or their clients in subverting the rules of any online community," asserted Waddington, who is also chair of the CIPR’s Social Media Panel and author of the Wikipedia and Reputation Management chapter in recent CIPR book Share This Too. Wiki-PR’s activities have been investigated in depth in a Vice magazine feature bearing the headline "Is the PR industry buying influence over Wikipedia?". The foundation behind Wikipedia said it was currently investigating and admitted that as many as several hundred user accounts may have been paid to write articles on Wikipedia promoting organisations or products. In a statement Sue Gardner, the executive director of the Wikimedia Foundation, said: "[User accounts] have been violating numerous site policies and guidelines, including prohibitions against sockpuppetry [using online identities for purposes of deception] and undisclosed conflicts of interest." The CIPR guidance to PR professionals on working with Wikipedia is that they should not directly edit Wikipedia pages relating to their own organisation or brand, but should instead suggest amendments via Wikipedia’s own process. Waddington added: "A good public relations professional seeks to deal openly and honestly with the public at all times. Public relations without transparency is unprofessional and a direct contravention of the CIPR’s code of conduct." Wiki-PR told The Washington Times it dismissed any charges of wrongdoing, but acknowledged mistakes had been made. It declined to comment to Vice magazine. Wiki-PR founder and CEO Jordan French issued the following statement when asked to explain why Wiki-PR felt it was justified in directly editing pages for clients. "We're as boring as any other research firm. 'PR' in Wiki-PR is a misnomer -- we're a research and writing firm. 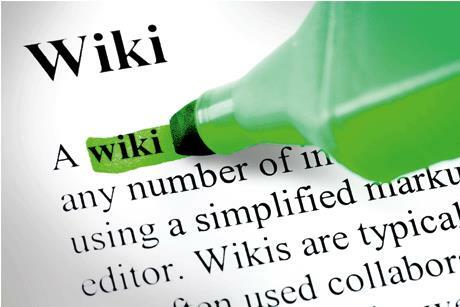 We counsel our clients on how to adhere to Wikipedia’s rules. We research the subject and write in an accurate and properly referenced way about it, filling a hole at Wikipedia for many subjects--concepts, companies, people-- even astronomy-- in which other editors lack an interest. Our people do a lot of work for free on Wikipedia, just because it's interesting and helpful to the Wikipedia community. "Rules at Wikipedia exist to thwart promotionalism and advertising and we follow those rules. If we don't, the material promptly gets removed and we see a 'promotionalism' or 'advertising' flag at the top. The system works efficiently. Most big PR firms have an agenda to get their clients ROI. Most big PR firms are also expensive. They don't know the rules as well because they do PR work, broadly, and try to promote. We don't have those incentives. Most of our arrangements are for Wikipedia consulting at an hourly or flat-fee rate for a period of time. To be fair, regular editors on Wikipedia do a stellar job. It's usually unregistered IPs that go on to Wikipedia to attack companies and people with views and ideologies they want to advance. What we do is get Wikipedia to enforce the rules so our clients are presented accurately. "We do paid editing and not paid advocacy. Our primary goal is to improve Wikipedia. We’re part of the fabric of Wikipedia-- an integral part-- and useful where volunteers don’t want to or cannot put in the time to understand a subject, find sources, code, upload, and professionally monitor a page. We say 'no' to clients frequently -- in a rigid effort to avoid promoting or advertising. We routinely temper client expectations on promotionalism and advertising and spend boundless time explaining Wikipedia’s editorial standards to those who might not be familiar with them. We’re part of the solution and not the problem. And I’ll be the first to admit that we’ve made bad calls on 'notability', which just means whether a subject has enough news coverage to support a Wikipedia page. We’re always monitoring Wikipedia’s official policies to ensure compliance. "There is a rather silent majority on Wikipedia that supports paid editing. What we do isn’t magic. Our singular mission is to respect other editors and follow the rules. Some rules overlap and conflict, but that's part of the process with any open-source project like Wikipedia. Designing a market and eco-system can be very difficult, though Wikipedia's leadership has done a pretty good job."